Popular kids UGC-based MMO Roblox made upwards of $25 million from player spending across iOS and Android for October. According to Sensor Tower, the haul represents a year-on-year increase of 67 per cent. The US proved to be the MMO’s most popular source of income, with US players contributing $16 million to the total (62 per cent). Players in the UK provided the second largest amount with $2.4 million, which is close to 10 per cent of the total. Regarding platform, around 73 per cent of Roblox’s October intake came from iOS, with Google Play making up the remaining 27 per cent. Roblox was the 27th mobile game last month by worldwide revenue and ranked eighth for player spending in the US. According to a separate Sensor Tower report, Roblox has racked up over $486 million in revenue across the App Store and Google Play and has reported annual revenue growth every quarter since Q3 2015. 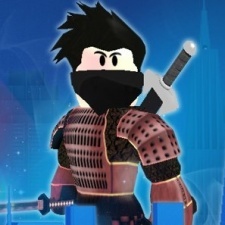 As for total downloads, Roblox has been downloaded up around 175 million to date on mobile. US players make up around 35 per cent of downloads, while Brazilian users account for nine per cent and British consumers represent six per cent.